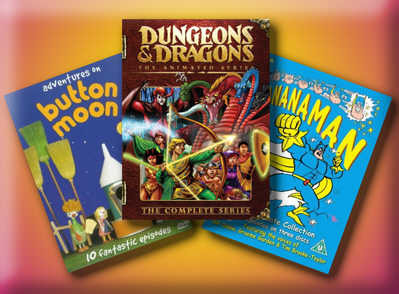 Welcome to our latest competition where you can win a great selection of classic Eighties childrens TV series on DVD, courtesy of VoucherCodes.co.uk, where you can get vouchers and codes to save you money at retailers such as HMV, Play.com and Argos. Three fine examples of television that I’m sure anyone who grew up in the 1980s will have fond memories of. To be in with a chance of winning all you have to do is provide your name and e-mail address below and select the correct answer to an easy peasy multiple choice question. Before entering, please check out the Terms and Conditions of this competition at the VoucherCodes website.